Describing themselves as a ‘Female fronted pop/rock covers band with umph’, She Rox are one of those bands that never fail to get the crowd going. With rip-roaring old-school covers from Blondie, Fleetwood Mac and Joan Jett, they bring us forward with classics from The Cranberries, Republica and Skunk Anansie. Notable highlights include Tina Turner’s “Nutbush City Limits” and Transvision Vamp’s “Baby I don’t care”. 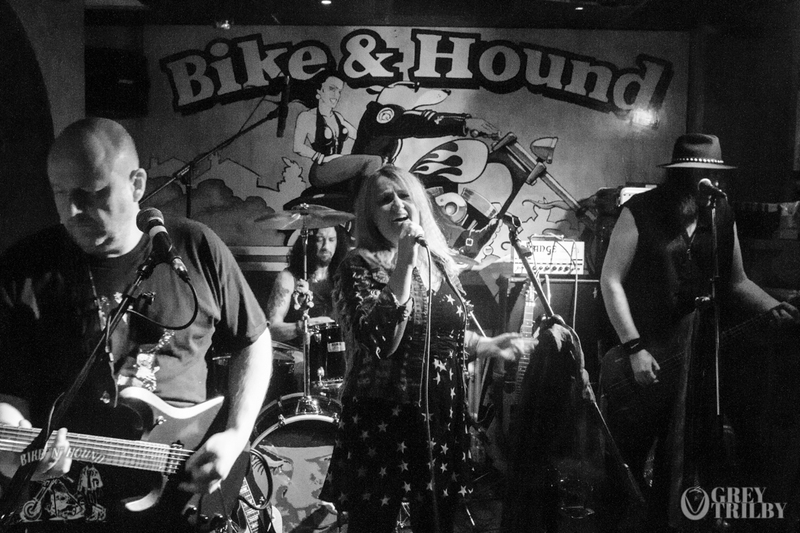 Strong vocals, some superb guitar and drums and a wicked sense of humour from front lady Becky make She Rox one of the most entertaining live bands to play at the Bike’N’Hound.